A photomicrograph of Bacillus anthracis bacteria using Gram stain technique. Anthrax is diagnosed by isolating B. anthracis from the blood, skin lesions, or respiratory secretions or by measuring specific antibodies in the blood of persons with suspected cases. 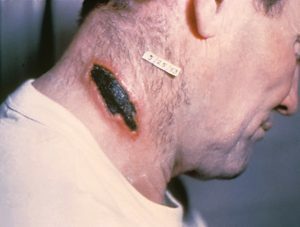 Anthrax rushed forward into public awareness in 2001, when a rash of American postal mail attacks with anthrax spores infected 22 people and killing 5 of them. Anthrax is spread via spores, which can either be inhaled or contracted through the skin when you have a cut. Eating contaminated food is another possibility. Technically, the spores are found in the soil and can be picked up that way, in which case there really is no vector at all. Alternatively, infected soil can pass these spores to grazing livestock, which can then pass the spores along to humans. Once inside your body, the spores become active and as they thrive and multiply, they will release toxins. It’s the toxins that create the illness, not the bacteria themselves. 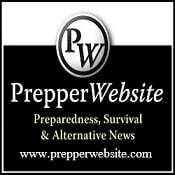 As mentioned just above, there are 3 different ways you can contract anthrax, and like with most diseases, that means there are going to be varying sets of symptoms. When you get anthrax spores through a cut or other break in the skin, you can expect a series of bumps or tiny blisters around where the infection starts which may develop into a larger sore with a black center. These sores usually don’t hurt but they can itch. The infection can continue to get worse if there is no treatment but many people are able to overcome cutaneous anthrax even without antibiotics. If you inhale the anthrax, it will start to develop quicker and with a heavy emphasis on respiratory symptoms. There will be fever, chills, shortness of breath, coughing, headaches, dizziness, nausea or vomiting, excessive sweating and body aches. This is the most serious form of anthrax, and it has a mortality rate between 50 and 90% even with antibiotic treatment. On the other hand, if you’ve eaten food contaminated with spores, you will get fever, chills, sore throat, swelling of the neck and face, nausea, vomiting, diarrhea, headaches, and stomach pain. The mortality rate for this kind of anthrax is around 50%. In all of these cases, the symptoms can continue to get worse until organ failure and shock set in. 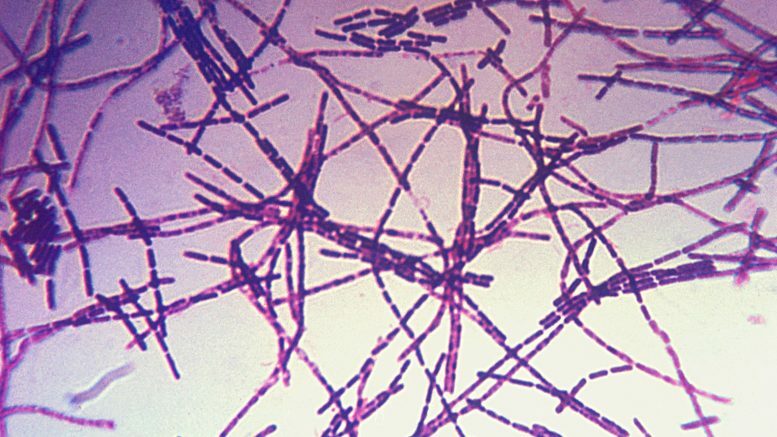 You can treat anthrax with antibiotics, such as ciprofoxacin and doxycycline, when someone has been exposed to anthrax but is not showing any toxin symptoms. This can kill the spores, and stop the disease progress. Once the spores have activated and toxins are released, the antibiotics may not be enough to fully treat anthrax. It can take up to 2 months for spores to start multiplying, so antibiotics must be taken at least that long so that the active bacteria is killed. There are vaccines available that are quite effective in preventing anthrax, though they are generally only given to people who are in a high-risk group (lab workers, or people who work in certain livestock industries). Besides that, it can be difficult to protect yourself since you can inhale the spores simply from dust in an infected area. If you know that your area has a potential for anthrax, then wear a mask when working in dusty soil or with animals. Anthrax is probably associated with deliberate bio-terrorism more than any other pandemic threat, though exposure through natural sources shouldn’t be ignored. Living in open areas where there are large populations of grazing livestock will increase your likelihood of encountering anthrax. Be the first to comment on "Infectious Diseases – Anthrax"